An incredible look at the 50 year history of the legendary rock band has been launched in London and here’s a glimpse of what you can expect. 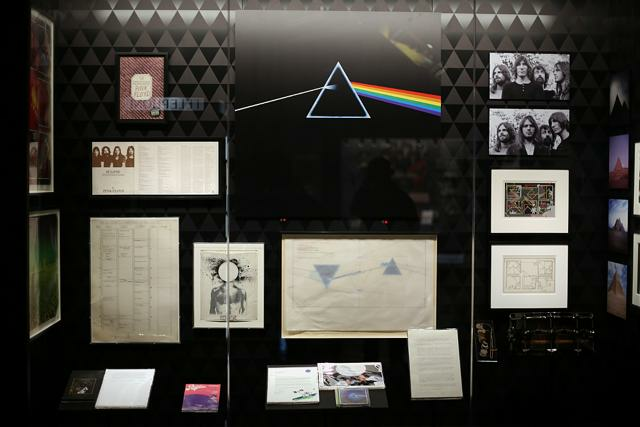 Legendary rock band Pink Floyd have officially opened a retrospective exhibition in London to mark 50 years since the release of their first album. Titled Their Mortal Remains, the exhibition will open to the public on Saturday 13 May at the Victoria And Albert Musuem in Kensington, London. The show runs until 1 October and has been launched to coincide with the anniversary of the release of the band’s classic debut Piper At The Gates Of Dawn in August 1967. 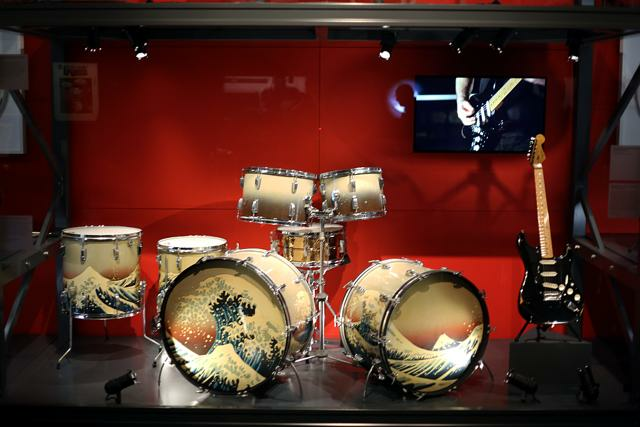 The exhibition was originally conceived by Floyd sleeve designer Storm Thorgerson and developed by his colleague Aubrey ‘Po’ Powell, who worked closely with the band’s drummer Nick Mason. It’s been described as “an audio-visual journey through 50 years of one of the world’s most iconic rock groups, and a rare and exclusive glimpse into the world of Pink Floyd”. The band were always keen to marry their ambitious music to equally ambitious visuals and stage shows, and the gallery offers interactive, floor-to-ceiling installations. 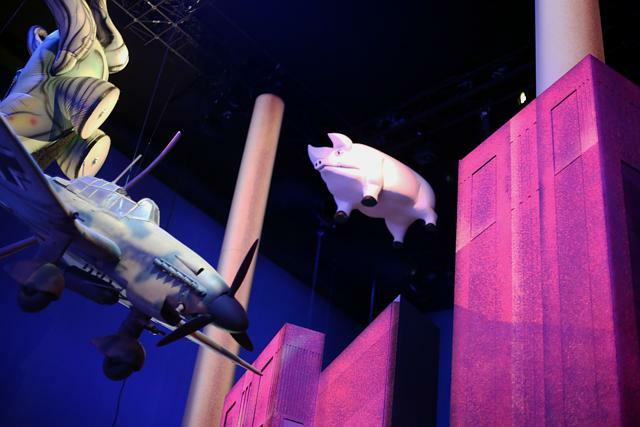 They include a huge version of the stage set for The Wall tour, including the giant inflatable schoolteacher designed by artist Gerald Scarfe, alongside a recreation of Battersea Power Station, complete with flying pig, as per the sleeve of the Animals album. There’s even a pitch-black space containing a holographic image that brings to life the prism from the cover of The Dark Side Of The Moon. 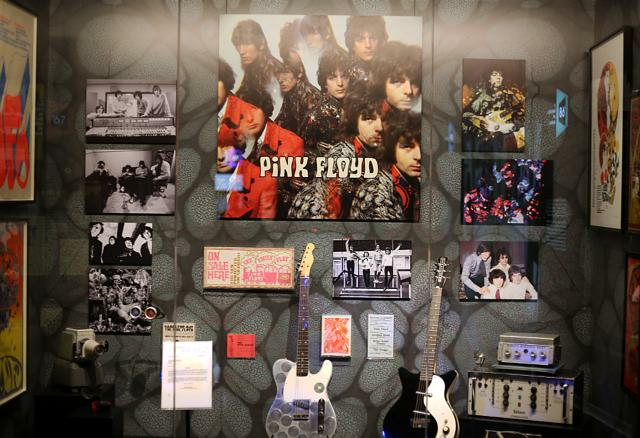 The exhibition draws together many unique artefacts illustrating every aspect of Pink Floyd’s career, including a letter from original frontman Syd Barrett, which includes a sketch of their Bedford van, plus Nick Mason’s gig diary from the late 1960s. 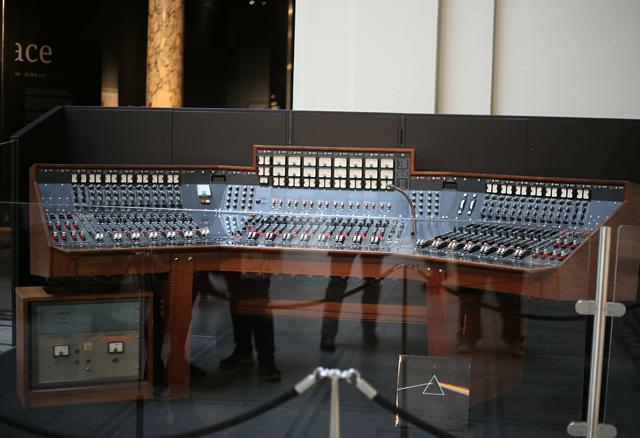 Also included are Roger Waters’ handwritten lyrics for the songs Wish You Were Here and Have A Cigar, David Gilmour’s guitars, including his famous Black Stratocaster and Richard Wright’s early-‘70s era Mini Moog synthesiser. There are also three purpose-built mixing desks allow visitors to “mix” their own customised version of the classic Floyd song Money. 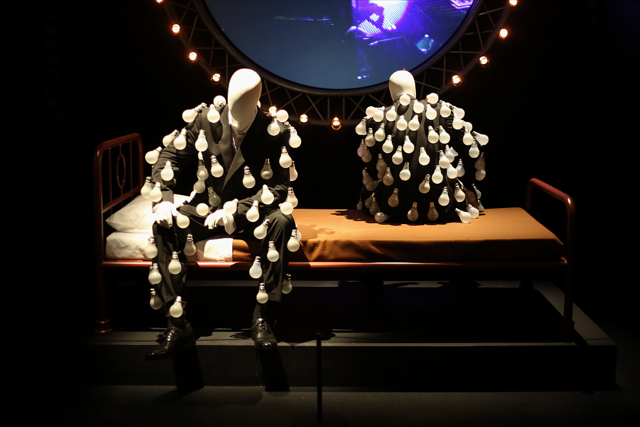 The exhibition is enhanced by music throughout and by the voices of past and present members of Pink Floyd, including David Gilmour, Nick Mason, Roger Waters and the late Richard Wright explaining their experiences. The show culminates with an immersive audio visual space which includes the recreation of the very last performance of all four members of the band at Live 8 in 2005. Tickets for the exhibition are on sale now via vam.ac.uk/pinkfloyd or from ticketing partners LOVETheatre, Ticketmaster, See Tickets and Encore. See pinkfloydexhibition.com for more details.